Sebastião José de Carvalho e Melo, 1st Marquess of Pombal, has an important role in the history of wine. 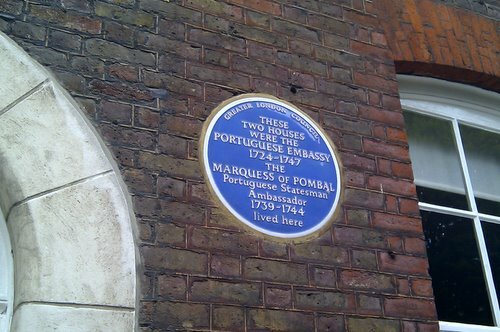 It was he – as the somewhat heavy handed prime minister Portugal – who introduced the world’s first attempt to control wine quality and production, when he demarcated the Douro in 1756. His motivation was to solve an economic crisis, caused by problems of over-production and adulteration of Port wines, which were then largely being sold by British merchants in Porto. 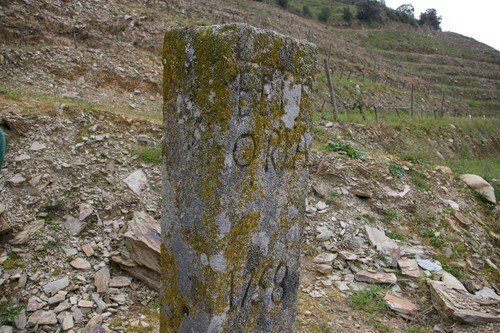 In 1758, and later in 1761, 335 standing stones, called Feitoria, were plonked down at points indicated on the map that Pombal commissioned. 103 remain standing, including this one (above) at Quinta Nova. The Douro was officially the world’s first wine region to be demarcated, and Pombal’s efforts (which included the founding of the Real Companhia Velha and the uprooting of elderberry bushes) brought some much needed stability to the Port industry. I first came across Sebastião when I was working as a science editor, and our organization held a conference at his palace in Oeiras (before being the Marquess of Pombal, he was the count of Oeiras). Oeiras is a beach resort not far from Lisbon, to the north east. An interesting historical figure. The stones were plonked down at the borders of the demarcated region named Feitoria. This was the Feitoria, not the stones.